I’m honored to announce that I’ve been featured on Offscreen magazine issue #2. Offscreen launched its first issue in Feburary 2012 and quickly became well recognized in the design community. 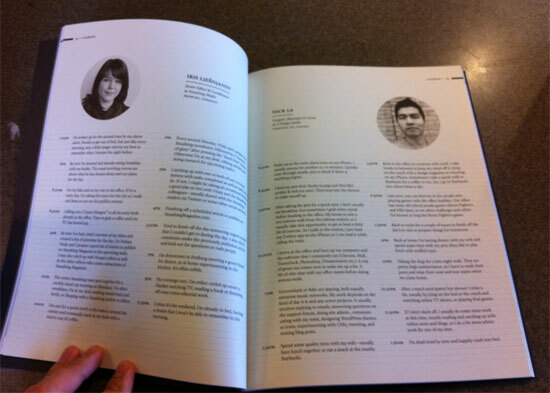 So I’m proud to be selected in the logbook section (thanks Kai Brach). I have five copies of Offscreen #2 to giveaway. As usually, post a comment in this post before Jul 27, 2012 to enter the giveaway draw. Update: The contest is closed and the winners are: Tim, Benedikte, Shen, Hazel, and Mana. The comment must be submitted before Jul 27, 2012. One entry per person. I’ve always wanted a copy of Offscreen! Thanks for this giveaway, Nick, and congrats on being featured in the issue. I loved the first Issue of the Offscreen Mag. And I would love to get the second issue for my Birthday on 7th of August. :) Oh, and congrats on being featured in Issue #2! I would love to win the issue of Offscreen magazine! I already have a subscription so no need to enter me. We love the magazine at my agency and really enjoyed the article about WDW. Congratulations! I’d love to read it! I would love to get one!!! What a delight on your appearance good sir! These look amazing. I’d love to have a copy on my desk for daily inspiration! Congrats on being featured in the issue…I want one copy. First off Congrats :) You deserve it! Second, I would love to get my hands on Offscreen magazine :) I hope to win this one. Great! I want to win one copy! Great! Hope I will win one copy! Would love to have a copy ! Hello i am subash pathak from the country of mount everest, Nepal. I love web and will be glad and thankfull if i got a copy of the magazine. I love giveaways. Thanks Nick. Hello, thanks for the giveaway chance. That’s good work by you! Cheers to your success, and mine. Love this site. Thanks for all the great posts. Sure, I’d dig a copy! I want to win this copy…. Congratulations! This looks like something that would be a great source of inspiration and insight and would be awesome to have. Congratulations on adding another feather to your cap in the area of your expertise! This is really an inspiring news for the web design aspirants. Web designing is very interesting and innovative field. Your achievement is inspiration for all such aspirants web designers. Web designing needs constant efforts , good perception and sound technical skills. Congratulations for making the first issue! Congrats! Looks like a great resource for inspiration and understanding new horizons. I’m curious to check it out. My name is Sabrina and I work at a PPC/SEO Management Agency in Guildford UK. If you need help with your homepage/website, please contact us. I’ve enjoyed your tutorial about background image scale. Thank you very much.